Ecuador - an Introduction . . .
Ecuador is a remarkable country, for its natural riches, its cultural diversity and history, and its peoples and traditions. Every corner of the country can offer something different for the traveler, from the spectacular tropical coastline with its laid-back fishing villages and populations of African origin, to the Amazon rainforest and its various indigenous peoples and its amazing biodiversity, to the volcanos of the Andes Mountains and the traditional agriculture of the Incas which has survived to the present day, as well as the spectacular and unique Galapagos Islands. 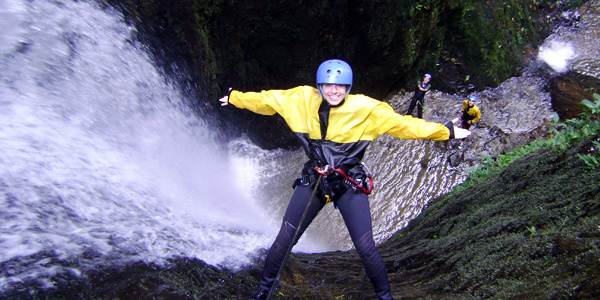 With this diversity of terrain Ecuador offers a wide variety of outdoor activities, from mountain climbing, trekking, and mountain biking to white-water rafting, rappeling, swimming and diving, and just relaxing in the great outdoors. And with its colonial history, cities such as Quito, Cuenca and Riobamba offer unparalleled opportunities to explore the past with some of the best preserved colonial architecture in the Americas. Ecuador's history . . .
Ecuador's history began 15 to 20 thousand years ago with the rise of indigenous societies in the region. These populations were well developed, and archeological sites throughout the country provide evidence of their existence. Prior to the Spanish conquest, Ecuador formed part of the northern Inca Empire. 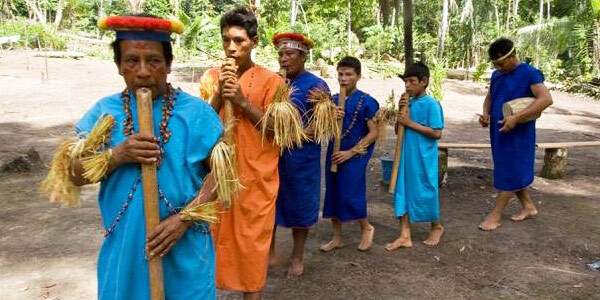 Today, Ecuador has a wide diversity of indigenous populations descended from these early inhabitants. Ecuador Today . . .
Today, Ecuador has a population of close to 13 million people. Most of these live in the Sierra or the Coastal regions.The country has more than 17 indigenous groups, with most maintaining their traditions and way of life. Spanish is the primary language, but there are several indigenous languages still spoken in some areas of the country. The predominant religion is Catholicism, but in some areas, traditional worship of the earth, sun and mountains is still preserved. 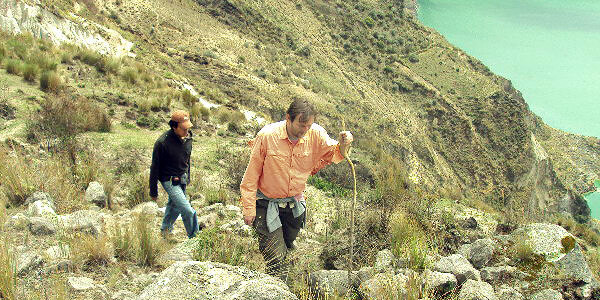 Ecuador is a relatively poor country economically, but has vast riches in its resources. Currently, Ecuador's economy is sustained by exports of these resources, including oil and timber. The country also exports bananas, coffee, cocoa, shrimp, tuna, and flowers. Other exports include some fruits and vegetables as well as products of small industries such as handicrafts. Agriculture is a primary activity in most of rural Ecuador, providing the livelihood for most of its people. Ecuador's Mega-Diversity . . .
Further, the variation in terrain and climates of the country means that each area is unique, offering the visitor plenty to explore. Altitudes range from sea level to 6,310 meters at the peak of Chimborazo-the point on the globe furthest away from the center of the earth.There are several peaks of 5,000 meters or more in the country. True Ecuador Travel is proud to offer a huge range of possible activities and programs in Ecuador, and we are sure that you will not be disappointed - in all likelihood you will leave vowing to return again soon! Visit our videos page to find links to some great videos about Ecuador that will give you a taste of what to expect. And please email us with any questions that you may have, or with your rough dates and preferred activities for us to put together the perfect program for you! 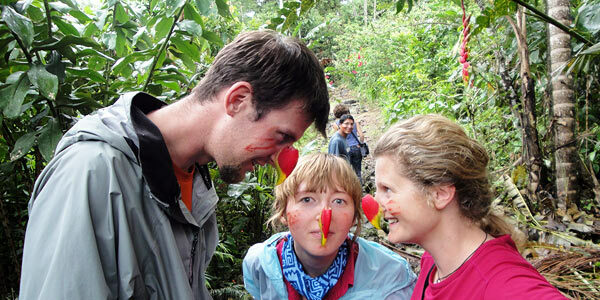 Click here to contact us to plan your perfect Ecuador adventure! Click here to begin creating your Wish List!